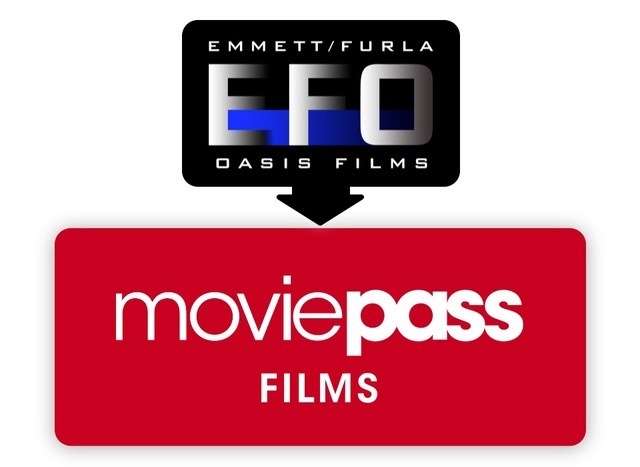 (May 30, 2018) – Helios and Matheson Analytics Inc. (Nasdaq: HMNY) (“Helios”) announced today that Emmett Furla Oasis Films (“EFO Films”) has granted Helios the exclusive option to acquire the entire film library and current production slate of EFO Films. The EFO Films library includes acclaimed titles such as Lone Survivor and Broken City and features A-List actors such as Mark Wahlberg, 50 Cent, Sylvester Stallone, Bruce Willis, Arnold Schwarzenegger, John Travolta, Denzel Washington, Nicolas Cage, Robert De Niro, Al Pacino, Kate Bosworth, Leelee Sobieski, Anna Kendrick and Ellen Burstyn. The EFO Films library also includes the upcoming titles “Boss Level” starring Naomi Watts, Mel Gibson and Anabelle Wallis, “2Guns,” “Escape Plan 2” and “Escape Plan 3” starring Sylvester Stallone and Dave Bautista, “The Irishman” starring Robert De Niro, Al Pacino and Jesse Plemons, and The Iconic Video Game ASTEROIDS by ATARI, including others in production, with the goal of 12 to 15 films over the next year. “To have such a well-known, quality production company join forces with the Helios/MoviePass group of companies is truly remarkable,” said Mitch Lowe, MoviePass’ CEO. “Since we began disrupting the movie industry with our unprecedented low-cost movie theater subscription service, MoviePass, we have envisioned owning and developing our own studio content and using the power of our several million subscribers to bolster the success of the box office for our films. I believe MoviePass Films will accelerate those efforts and demonstrate the power of MoviePass to drive movie theater attendance and downstream sales, for the benefit of moviegoers, movie theaters, studios and the film entertainment ecosystem as a whole,” concluded Mr. Lowe. “To do a deal with Helios and MoviePass is epic for us,” said Randall Emmett of EFO Films. The MoviePass subscription service has totally disrupted the movie industry, for the better. When we worked with MoviePass Ventures on the movie Gotti, starring John Travolta, which premiered at Cannes and is set for release this coming June 15 – I immediately saw how revolutionary the MoviePass service is. I have never seen any player in our industry move so quickly and gain such a large following in such a short period of time. What impresses me the most is that MoviePass can guarantee box office attendance, which is a game changer. I don’t believe anybody else can do that,” concluded Mr. Emmett. “Ever since we co-acquired our first film with MoviePass Ventures, American Animals, which is set for release June 1, we’ve been looking for an opportunity to acquire and produce studio content on a larger scale and prove the power of the MoviePass service in the process. We believe we’ve found that opportunity with Emmett Furla Oasis Films. Along with MoviePass Films, MoviePass Ventures, our studio driven production company and our independent film investment division, will play an integral role in our business strategy,” said Ted Farnsworth, Chairman and CEO of Helios. “We believe the track record of Randall Emmett and George Furla over the last twenty years speaks for itself. For MoviePass to have the opportunity to jump in the middle of new high-caliber productions that are already underway, becoming a part of that, is more exciting for Helios and MoviePass than I ever could have imagined,” concluded Mr. Farnsworth. Helios and Matheson Analytics Inc. (Nasdaq:HMNY) (“Helios”) is a provider of information technology services and solutions, offering a range of technology platforms focusing on big data, artificial intelligence, business intelligence, social listening, and consumer-centric technology. Helios currently owns approximately 92% of the outstanding shares (excluding options and warrants) of MoviePass Inc., the nation’s premier movie-theater subscription service. Helios’s holdings include RedZone Map™, a safety and navigation app for iOS and Android users, and a community-based ecosystem that features a socially empowered safety map app that enhances mobile GPS navigation using advanced proprietary technology. Helios is headquartered in New York, NY and listed on the Nasdaq Capital Market under the symbol Helios. For more information, visit us at www.hmny.com. Emmett Furla Oasis Films (“EFO Films”) was founded in 1998 and was a combination of Randall Emmett’s extensive entertainment industry experience and George Furla’s business expertise. In 2013 a collaboration was finalized with Oasis Ventures Entertainment. The success to date has been rooted in EFO Films’ ability to facilitate relationships between top creative talent (including actors, writers, and directors) and companies that produce, finance, and distribute motion pictures. To date, EFO Films has produced over 80 films that have grossed in excess of $1 Billion box office ticket sales worldwide. The films include “The Amityville Horror,” “Rambo,” “16 Blocks,” “End of Watch,” “Broken City,” “The Frozen Ground,” “Escape Plan,” “2Guns” and “Lone Survivor.” In 2018 EFO Films is producing a wide range of movies including the following: Martin Scorsese’s “Silence,” the TUPAC biopic, “Extraction” and in collaboration with Hasbro the world’s first Monopoly movie and Hungry Hungry Hippos.